Born in BC, raised in California, Ayla returned to her homeland when she was in her teens. She has always loved nature and has been a freelance photographer off and on for the past decade. Fascinated with biology, she enjoys studying nature and its anomalies. As a freelance photographer Ayla has experience with weddings, events, documentary, portraits, fine art, nature, still-life and landscapes. She hosted a show at the Peace Gallery North in Fort St. John and has been published locally in the magazine Northern Groove and in the Northeast News. Her passions include photography, science and teaching—which she loves to combine whenever the opportunity arises. 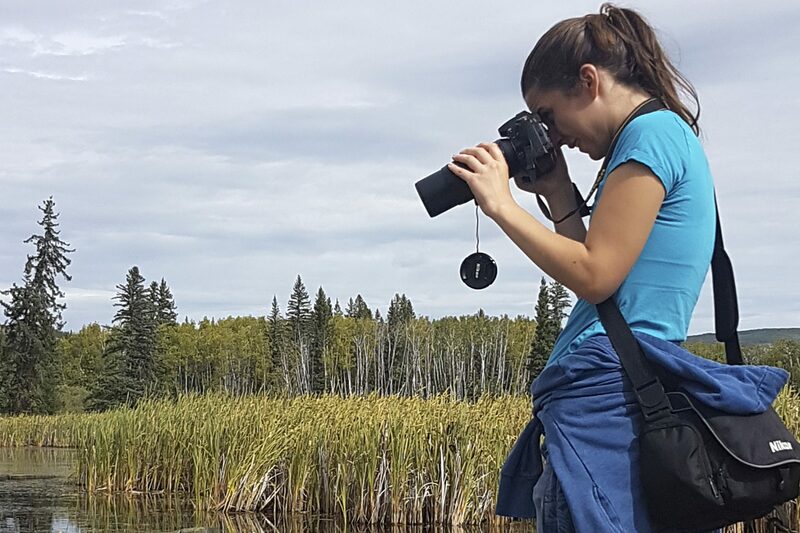 Ayla was a lead photographer for Galiano’s 2017 Bioblitz during which she personally documented more than 80 species. This foray was a testament to what one can accomplish on a brief visit to this hotspot of biodiversity. Two of those species—an insect and a jellyfish—were previously unreported for the island.